*WASHINGTON, D.C. — Although some have denounced the release of a videotape of the homicide victim apparently engaging in a robbery just minutes before he was shot dead by a police officer in Ferguson, MO, as unfair, irrelevant, and even racist, this evidence could be directly relevant in any homicide trial which might later occur, suggests public interest law professor John Banzhaf. It appears that the officer who did the shooting will argue that Mike Brown attacked him and even tried to take his gun – a version unlikely to be believed if Brown was just a typical innocent teen walking down the street. But if, as the videotape seems to show, he had just committed a brazen daytime “strong-arm” robbery, a jury is much more likely to believe that his concern over being apprehended and convicted of a felony would provide a very strong motivation to attempt to extricate himself, even if it involved the grave risk of confronting an armed police officer. Indeed, the fact the Brown apparently committed the robbery in broad daylight, and made no attempt to flee or hide, could suggest a brazen recklessness, and a disregard for his own safety and for the safety of others, including a police officer, suggests Banzhaf. The videotape of the robbery will also tend to discredit any testimony which might be provided by the closest eye witness, Dorian Johnson, should he seek to testify against the officer. As a general rule, juries are much more likely to distrust the testimony of people whom they know to be criminals. If, as it appears, Johnson was actually an accomplice in the very felony which gave Brown a strong motive to flee, he might well be completely discredited as a witness for the prosecution. 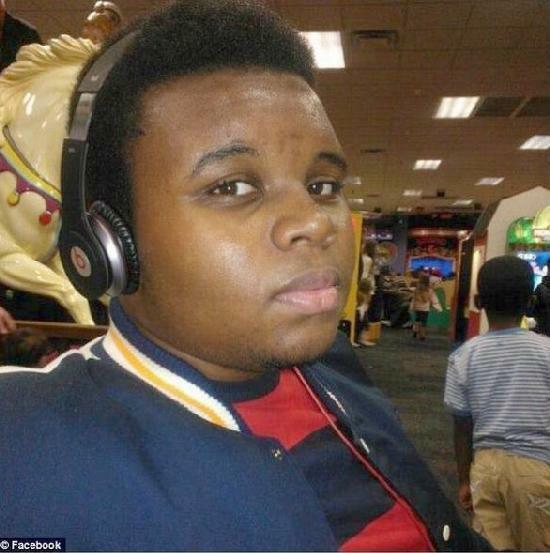 Although – according to one statement allegedly made by the police chief in Ferguson – the officer who shot Brown was not aware of the robbery at the time of the incident, the chief is also alleged to have claimed later that the officer was in fact aware of the robbery when he stopped the teen. If so, it is possible that the officer suspected Brown of having committed the robbery, either based upon a description of the perpetrator and/or if the officer saw cigars in Brown’s hand. That would strengthen an argument that the officer reasonably believed that Brown posed a serious threat at the time he was shot – i.e., that anyone who would pull off a brazen strong-arm robbery in broad daylight should be considered quite dangerous, especially given his great size and apparent strength. It is also possible that, as in too many murder cases, defense lawyers will try to put the victim on trial; suggesting, even if indirectly, that he somehow deserved his fate and/or brought the tragedy upon himself by committing a crime. While certainly not a valid legal argument, it is entirely possible that at least one juror could be persuaded to feel that way and, exercising his legal right under the well established doctrine of jury nullification, refuse to convict. In short, says Banzhaf, while not defending either the officer or the police chief, there may be valid legal reasons making the videotape of the robbery relevant, and perhaps even important evidence.